There are 1,587 items available. Please enter a number less than or equal to 1,587. Works Great , A++ Thank You !! 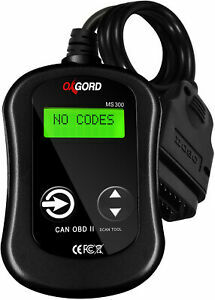 I was looking for an inexpensive scan tool to turn the check engine light off of my wife's Mercedes SLK230. I checked the codes and this tool can up with the same codes given by another tool at the parts house. I made the repairs cleared the codes and all is good now. Actually went back a couple of days later just to check again. GREAT deal ! Not a lot of bell and whistles but a good tool. Needed this little unit to find check engine codes for my 02 Chevy Blazer and it works for that. Great product and great price and easy to use.